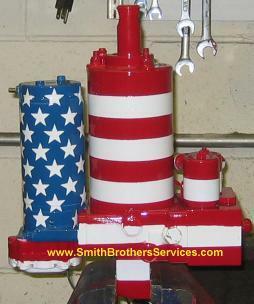 Smith Brothers Services, LLC - We have Meyer E-47 Plow Pumps for Rent in Sussex County NJ! We will be offering a limited number of E-47 power packs for rentals. What this means is if your pump fails during a storm, you can drop it off for repairs, and be back out the door quickly with one of our Rental Units on your truck so you can get back to plowing. You leave us your pump, and we mount one of ours on your truck. The rate for the 2010 - 2011 season will be $50.00 per day that the rental pump is not back at our shop. A $100 DEPOSIT must be left. 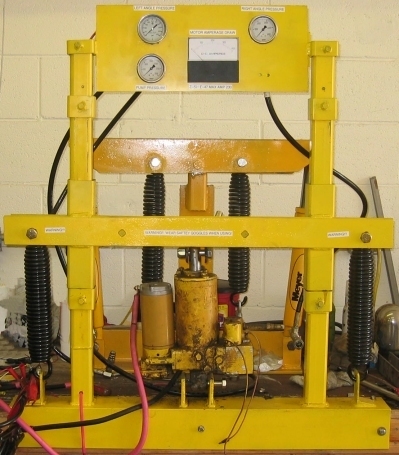 All of our Rental Units are rebuilt by us, and restored to factory new condition, and tested on our Test Stands. We are the first shop in this area to offer Rental Units to our customers, to reduce downtime during storms. Just one of the many innovations you can expect from Smith Brothers Services! *Subject to availability, we only have a limited number of rental units available.